Magna's Don Walker, speaking at the Automotive News Canada Congress today, said there has been a “bit of a brain drain to California” when it comes to keeping Canadian artificial intelligence (AI) researchers and engineers. 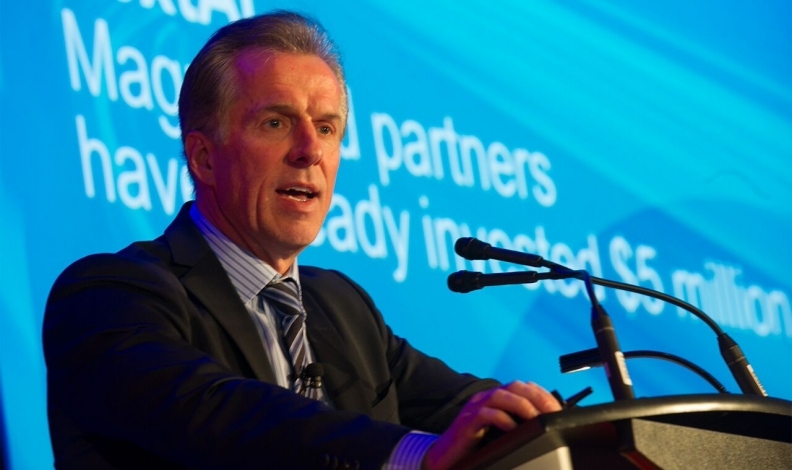 TORONTO -- Artificial intelligence, autonomous technology and other technology are set to transform the auto industry in the future, so Canada must work now to make itself an attractive place for engineers to work, Magna International CEO Don Walker said Thursday. Walker, speaking at the Automotive News Canada Congress today, said there has been a “bit of a brain drain to California” when it comes to keeping Canadian artificial intelligence (AI) researchers and engineers. AI, along with other trends such as driverless technology and advanced robotics, will transform the industry over time, Walker said. As a result, Canada must do more to train and keep engineers and researchers, starting by examining public education. “What can we do to attract people, educate people and compete? Because we’re competing globally,” Walker said. As part of an effort to attract and keep researchers and engineers, Magna last month contributed to a $5 million fund called NextAI that will provide funding to AI startups. Artificial intelligence will be crucial to the development of fully-autonomous vehicles, which must process vast amounts of information and make nuanced decisions. By 2025, Walker predicted 83 per cent of vehicles sold will have some level of autonomous technology, and 59 per cent of vehicles will have Level 2 autonomous technology or higher. However, Walker is skeptical that Level 5, fully-autonomous vehicles will be on public roadways at that time, saying getting those vehicles to operate outside of a geofenced area will be challenging, despite consumer demand. Government has a responsibility to keep the NAFTA region competitive as Canada, Mexico and the U.S. move forward with renegotiations of the trade agreement, Walker said. “The danger is if we don’t keep NAFTA as a region competitive, then we won’t be competitive with other regions” such as Europe or China, Walker said. The trade talk comes as U.S. President Donald Trump pushes for changes to the trade deal as part of a push to bring manufacturing jobs back to the country. Such changes, which could include a border adjustment tax, could have a significant impact on the industry as a whole and on Magna, one of the world’s largest suppliers doing business throughout the NAFTA region.